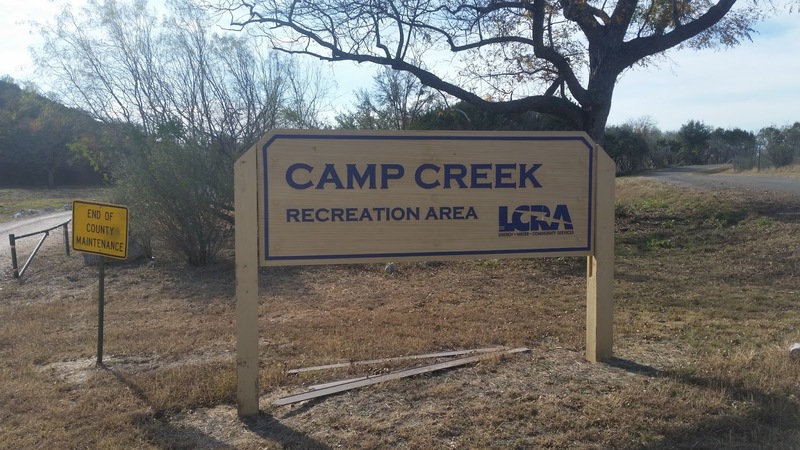 The LCRA allows dry camping in the rec area for up to five nights. 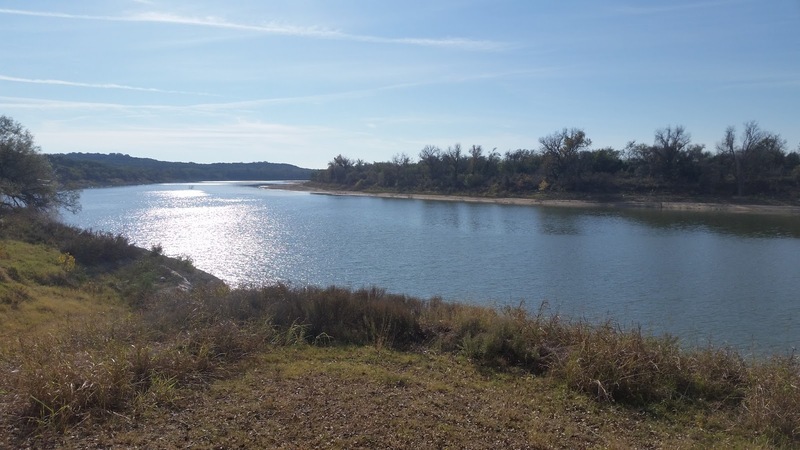 There are nine spacious RV camp sites and ten or so tent camping sites in the area. 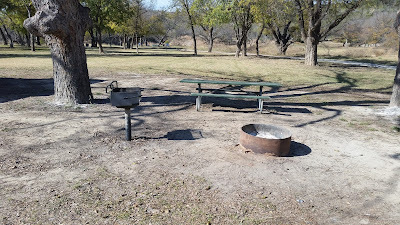 The main attraction to the Camp Creek Rec area is it's location on the bank of the Colorado River, although only a couple of the RV sites are actually on the riverbank (all the tent sites are on the bank). The Colorado River seen from a tent campsite. Upon arriving at the rec area there were only two RV sites occupied so I parked and reconnoitered on foot before selecting two possible sites. 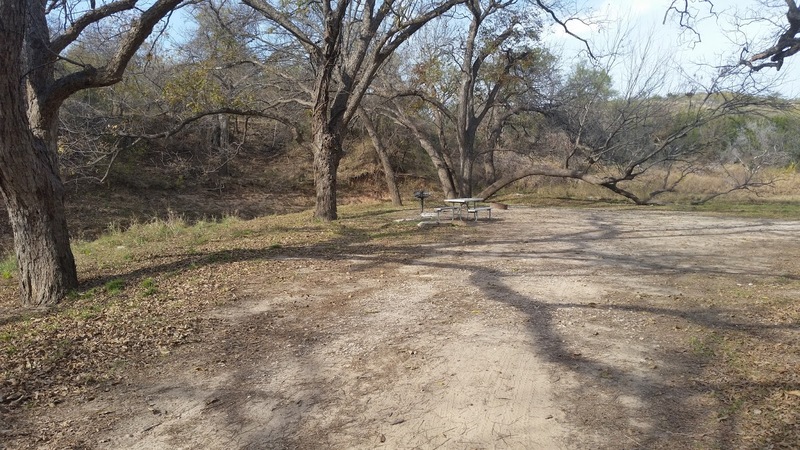 The first was along tiny Camp Creek and was very secluded. 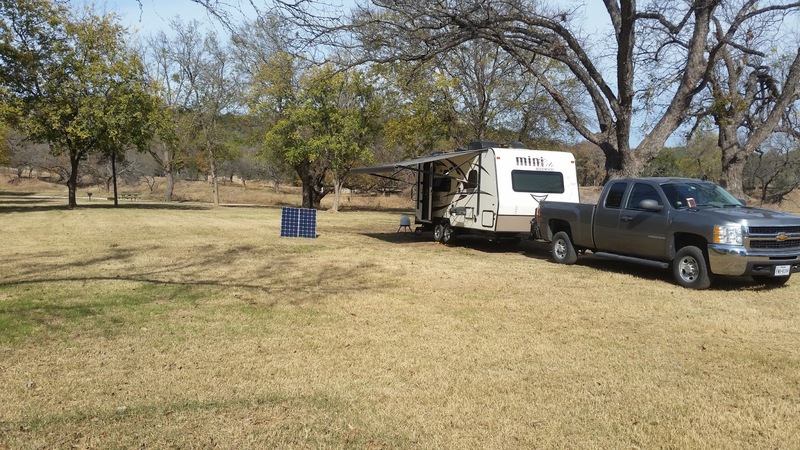 Nice creek-side site, too much shade for solar, though. 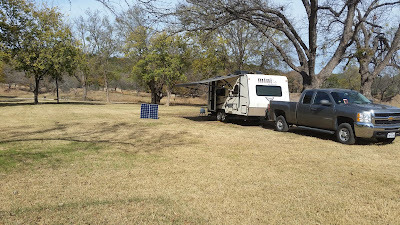 The camp site I decided on was away from the creek or river but had plenty of open sky for the Mini's solar setup. The Mini's site with solar suitcase deployed. Each campsite at Camp Creek comes with a picnic table, fire ring and a grill. Typical site equipment at Camp Creek. 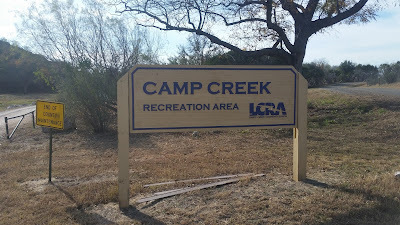 I stayed four nights and one thing I really appreciated about Camp Creek Rec Area was how quiet and peaceful it is. Virtually silent at night! Every morning there were deer grazing not 20 yards from the Mini so that was very cool too. While dry camping isn't for everyone if you enjoy it as I do I really recommend Camp Creek Recreation Area for a quiet camping experience! All I Want for Christmas Are New Balance MW877's!